In the designs I am thinking of a Behemoth, a Leviathan, and a Dragon. This is so I can cover a transformation appropriate to land, sea, and air. The dragon could almost cover all three at once if was designed to also swim and breathe underwater, but separate spell transformations will allow for more specialised form;, and I think that is a better overall flavour. Why have only one form, when you could have three? Regardless of the deficiencies and constraints of hermetic Magic with regard to transformation, lets look at some spells to transform the caster into a gargantuan creature (hint: this is a darn long post). The character’s combat mechanics are greatly enhanced, adding +20 Strength, +10 to Soak, -10 to Quickness. The character also gains the reach and leverage associated with the truly massive stance. The caster is transformed into a enormously large and imposing monster, up to a size +7. 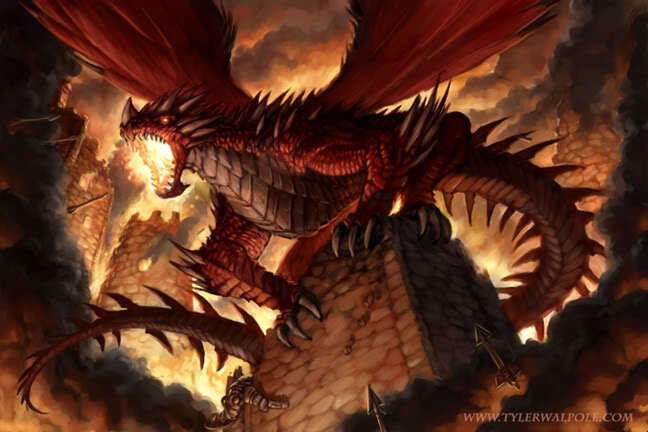 The form stands upright and hunched well over 20 feet tall, with two main fore limbs formed into crushing weapons, and a long tail capable of crushing and sweeping opponents aside. Two small additional limbs are below the main set, which can grasp and and use implements. It’s hide is almost impregnable due to the overlapping carapace of scales and spikes which cover its body, the spines and spikes being especially long and sharp along the creatures upper body and tail. Two massive horns adorn it’s head, forming the basis of the creatures ramming charge. When charging it will sprint using the large forelimbs and hind legs to build speed. Part Three – The Leviathan, a great denizen of the the deep. A leviathan is common in myth, and could be viewed as sea monsters, the Loch Ness monster, a natural alpha creature above sharks, or even constructed as a mega-shark. The artwork reflects a quasi-sinister aspect of the creatures, and implies that many of the creatures have many multiple limbs, vicious teeth, and crushing powers. Some versions are still very fish or whale like, or sea turtles, or squid like, with others tending toward an under-sea dragons. (a) Breathing underwater – is the first obvious ability, and either additional option fish-like gills or a huge capacity to hold its breath will do. I like the addition of gills as a secondary breathing method as it allows the lungs and voice to potentially still be present. (b) Multiple limbs with specialised purposes – these could be the tentacles of a kraken, secondary grappling limbs, or still allow for arm and claw type limbs on a sea creature. Perhaps the creature can sense and see through it’s additional limbs, detect minor changes in temperate, or smell over great distances, akin to sharks. (c) Underwater tail, fins, etc for propulsion – the beast needs to reflect a style of swimming. A huge tail, controlling fins, and all the small streamlining changes should be bundled together to form an aspect of the creature, so that it is essentially aquatic. (d) All the senses altered to suit aquatic environments. The creature should be thought of as an aquatic beast, but may then also be able to see, feel, smell, touch outside water as well. The artwork often has the monsters raising themselves out of the water as they attack, so they need to function in air as well as underwater. This may be better facilitated in the creature by adding additional sensory organs into the design, which grant the abilities. i.e. The creature uses one set of eyes when above the surface, and another below. When using it’s underwater sense it should not have an penalties to perception. (e) Crushing Grip and Deep Pull – this style of ability allows the form to grapple and crush a target, and draw it downward into the water. This should inflict damage proportional to the creatures size, and is mentioned specifically so that the form can also break apart boats or hold foes while it swims downward. The kraken has a mythic ability to entangle a ship and then pull it downward, using the water to kill the inhabitants. (e) Tolerance for freezing oceans – the form is well insulated which means it can swim and function normally in even the coldest oceans and seas. (f) Cloud of Ink – this ability grants the form a reusable reserve of black ink which it uses to create a large murky slick within the water. This has the effect or blocking all normal vision in the effected area. The ability should only be usable once or twice before needing to be “recharged” over an extended period. The size of the slick should be enough to comfortably envelop the size of the new form and the surrounding area, up to around ten times it’s volume. This grants enough room for the creature to flee. Optionally the ink may also have other side effects such as a revolting smell, or overly sticky. (g) Universal Digestion – the form can digest almost any biological material for nutrition given enough time. This may assist the caster surviving in an otherwise hostile environment for extended periods. 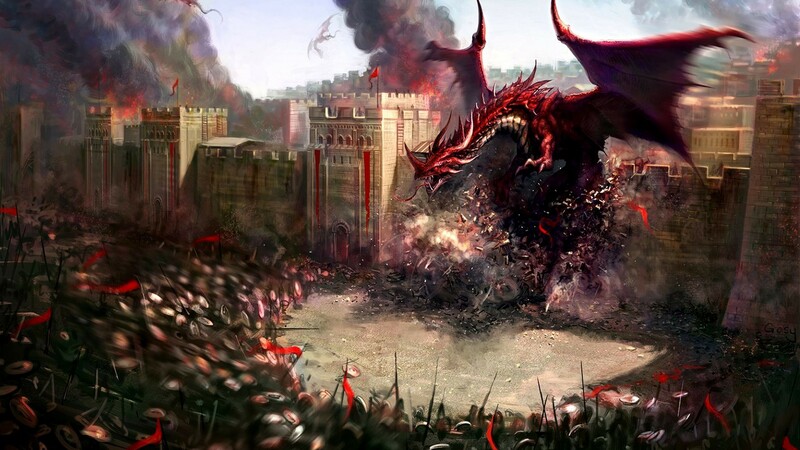 Part Four – The Dragon, the supreme lord of the air. (a) Winged Flight – the form can launch itself into the air and fly. For a very large form the wings will need to be large in comparison to the overall shape. (b) Spiked Hide – as a further defensive feature the skin or hide of the form is covered in a variety of spikes and fins. When places upon the limbs or tail they form a natural weapon. (c) Corrosive Blood – the form’s blood is naturally corrosive. The blood inflicts +5 damage for each round of exposure. (d) Tolerance for thin air and hostile conditions – the form has been designed so that it can breathe at very high altitude and also ignore the effects of long term exposure to the freezing winds, storms, and resistant to other environmental hazards such as desert conditions. Building the stats for these various forms is a task unto itself. My starting point for creatures is Ars Magica is always the free pdf for Beasts (available from Atlas Games website) and then modifying it to suit the increased size and mass of the new forms. That sample does not give specific mechanics for how much damage a swipe with a giant octopus testicle will inflict, vs a huge claw, vs a bite from a lion-like which is 300 feet tall at the shoulder. Essentially such attacks again a typical human should be deadly. Forget resisting or soaking the attack. 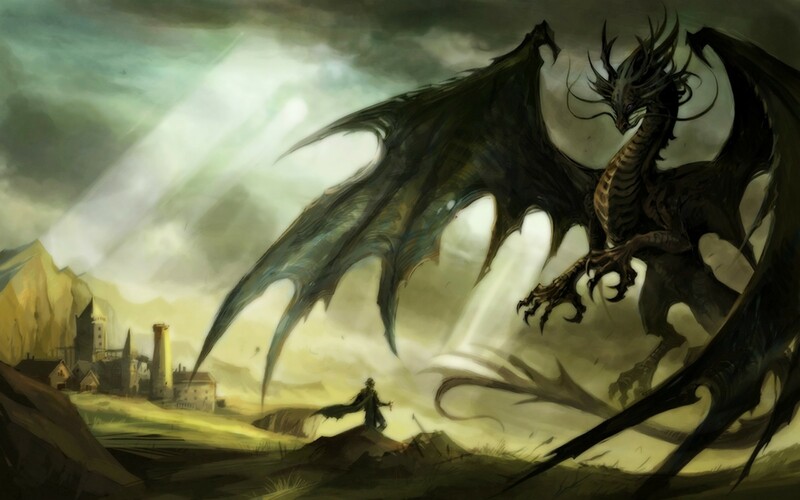 There are a number of powers and abilities that monsters have in the myths and legends, and the approach in this blog post has generally been to look at the physical form benefits, and ignore the special powers. Adding powers into the existing transformation spells is not the flavour of Ars Magica magic, as each effect really should be it’s own spell. There are some suggested guidelines in the Muto Animal section for how to do this, but it is mostly adding more magnitudes of power into spells which are already very high.